LONDON, UNITED KINGDOM – October 29, 2018 – The Asbestos Disease Awareness Organization (ADAO), an independent nonprofit dedicated to preventing asbestos exposure through education, advocacy, and community work, applauds the filmmakers behind Breathless, the Belgium Asbestos Victims’ Trust (ABEVA) and the Kymore Victims’ Trust for establishing the “Breathless Fund” CrowdJustice campaign. 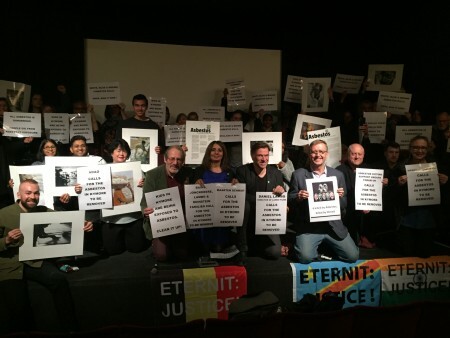 Over one hundred people attended the international release of Breathless at the Institute of Contemporary Arts in London on Saturday October 27th.  This powerful new documentary highlights the dangers of asbestos, a known carcinogen, and the struggle against the asbestos industry which continues to endanger the lives of workers and communities around the world. Following the death of his father, Director Daniel Lambo embarked on a personal journey to explore human rights and environmental concerns currently affecting communities in India and throughout other parts of the globe. Lambo’s investigation focused on the small village of Kymore, India, not far from the urban center of Bhopal, where there are toxic effects of the local asbestos industry on residents. 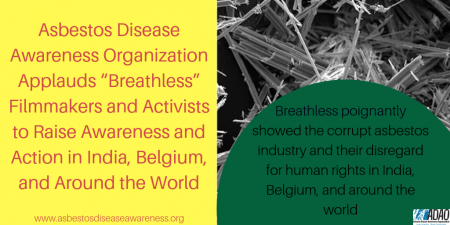 “Breathless poignantly showed the corrupt asbestos industry and their disregard for human rights in India, Belgium, and around the world,” said ADAO President and Co-Founder Linda Reinstein. This point was emphasized by legal expert Krishnendu Mukherjee and Baskut Tuncak, UN Special Rapporteur for Human Rights & Toxics, both of whom participated in the panel discussion following the screening. In addition to the screening, the Breathless Fund was launched to support the legal challenges currently being levied by a local trust in Kymore, demanding that public officials clean manufacturing sites to prevent further asbestos exposure. ADAO applauds the work of these artists, advocates, and legal experts, and encourages stakeholders in the anti-asbestos movement to support the people of Kymore, India by donating to the Breathless Fund campaign.